Since the first day I saw Mt. 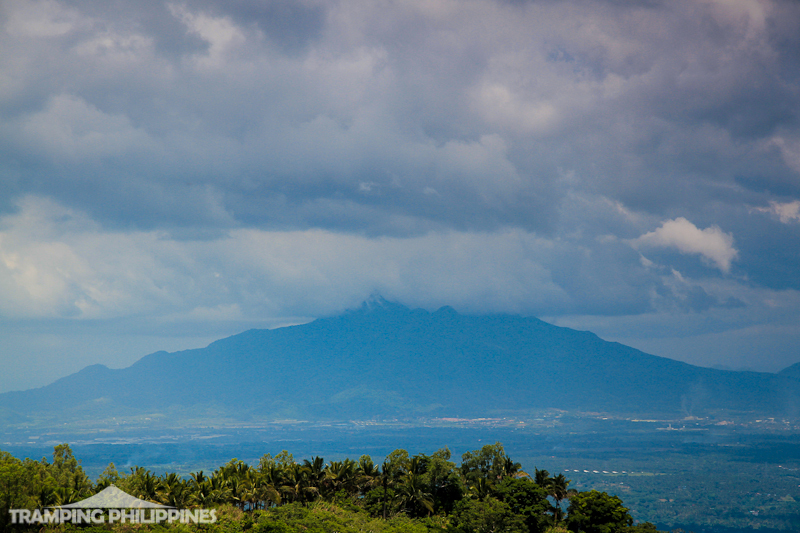 Arayat from a distance, I had this wonderful delusion of someday stepping atop its majestic summit. Upon entering NLEX, my dad would always ask me if I had completed the mountain but sadly, my awkward answer would always be in the negative side. Nonetheless, the fantasy of climbing its subtle peak was beginning to near. Finally, we were about to embark on an adventure traverse atop the realm of Maria Sinukuan, Mt. 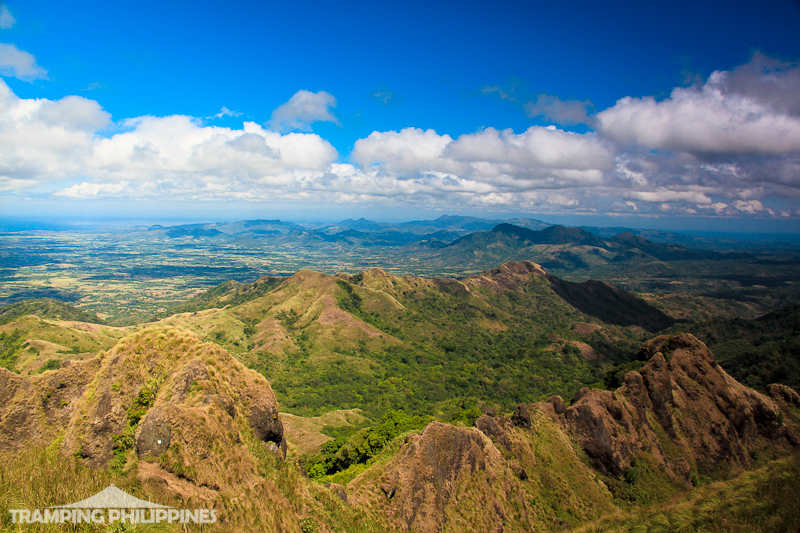 Arayat. But unfortunately, the unpredictable weather made Ron, our climbing buddy, worry about the fact that we were about to scale slippery high cliffs thus changing our plans to an almost equal alternative. Minutes after the deliberation began, a mountain situated in Bataan suddenly came into our minds. 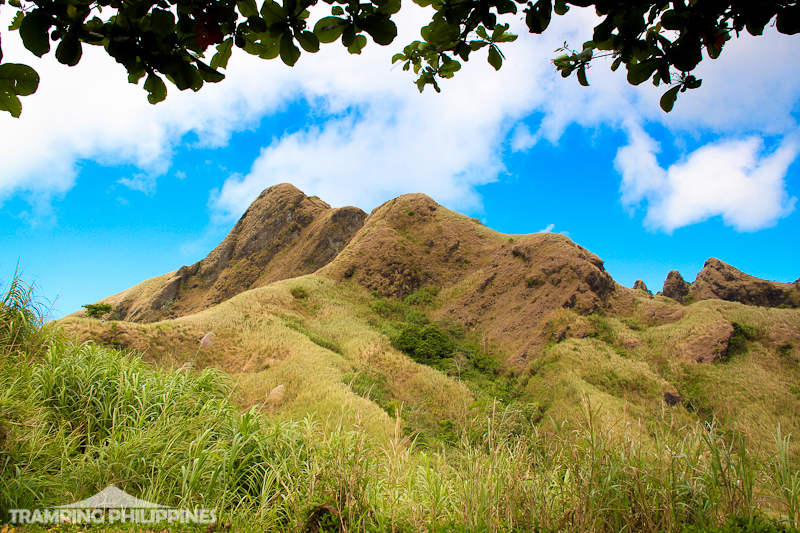 Finally, we were about to embark on an adventure dayhike atop one of the famous mountains of Central Luzon, Mt. Natib. But unfortunately, I was reserving Mt. 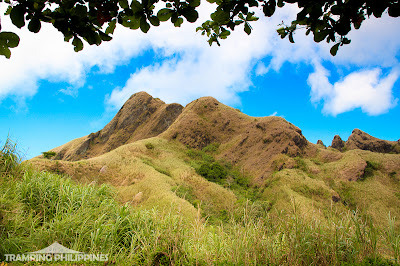 Natib for a weekend double dayhike as part of our training climbs for Mt. 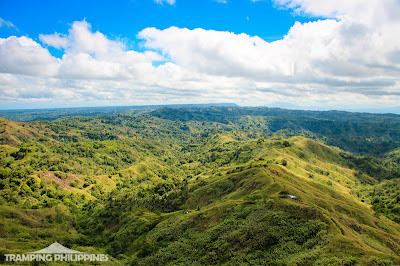 Kanlaon. 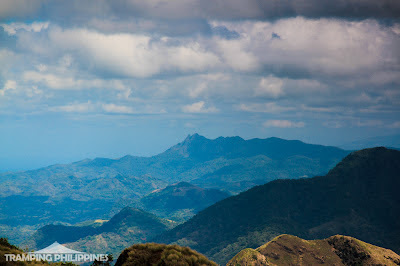 We ultimately scrapped the idea and entered on a new discussion of climbing one of the most famous mountains in Southern Luzon. 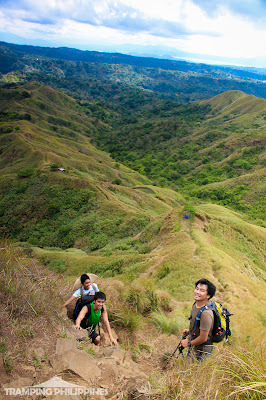 Finally, we were about to embark on an adventure assault atop the beak of the famous mountain in Cavite, Pico de Loro. 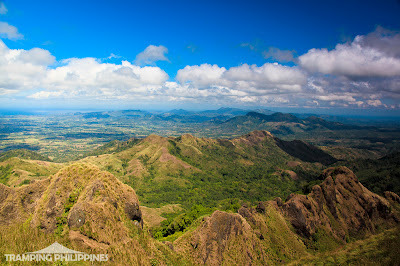 But unfortunately, after all the mumbo-jumbo I said, we just ended up doing a swift and fast dayhike atop Mt. 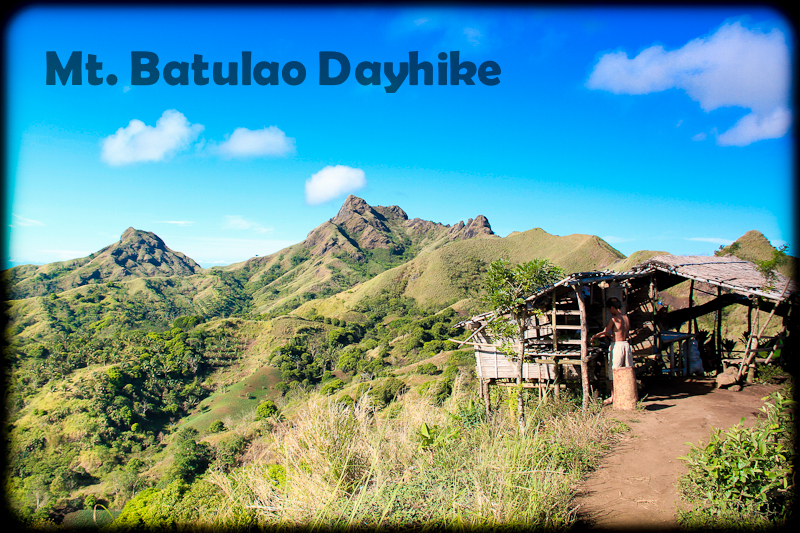 Batulao. The Bus conductor dropped us at the wrong side of Cavite hence; the sudden change of plans. We patiently waited for a Ternate bus but sadly, only Dasma, Lian, Tuy and Nasugbu buses passed the said road. It was like nature playing an April fool’s joke on a bunch of giddy climbers. 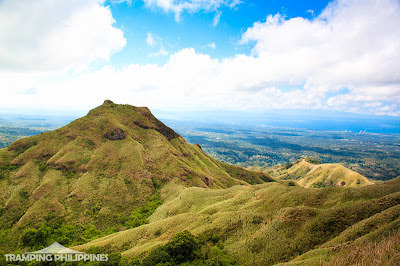 We waited patiently and vigorously but after a long hour standing at the side walk, we ultimately decided to Board a Nasugbu bus to climb Mt. 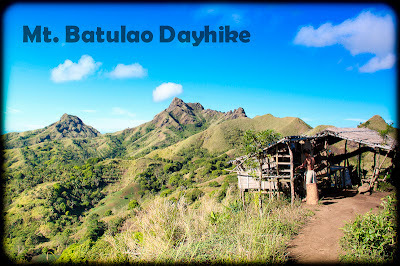 Batulao. 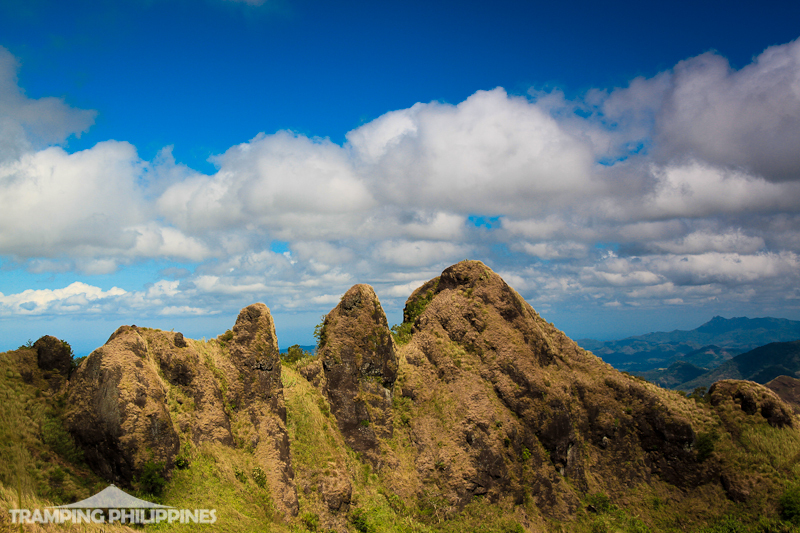 Even though not as challenging as the Arayat traverse we planned, the aforementioned climb was still fun. 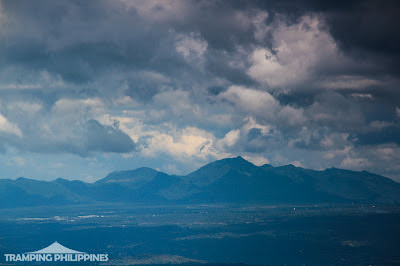 At least I had the chance to climb one of the mountains I love for the first time this 2012. It was nice to see our old friend Wilson finally grown up. The first time I saw him, he was just above my waist. We started the trek by 8 AM and just after 11:40 in the morning, we were inside the showers, tidying up for a quick side trip at Tagaytay. 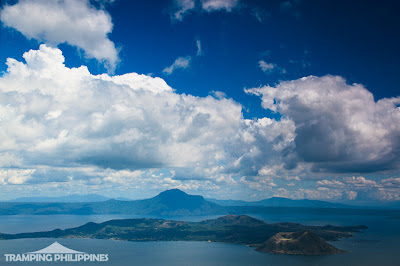 It was also surprising to see Tagaytay in full view. You could see mountains like Maculot, Makiling, Batulao, Malipunyo and Banahaw. We finished our lunch and decided to end our day lounging at the very serene Lourdes Church, pondering and chatting about our just concluded trip. Nature may have had played us during the said events but however the end result may be, I would always accept it wholeheartedly. May it be a challenging traverse up north or a very relaxed dayhike down south, climbing up mountains will always brighten up my day. 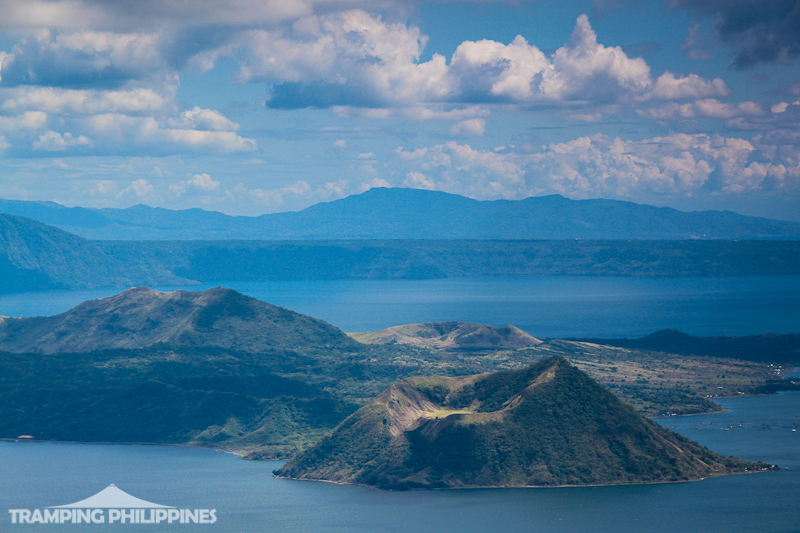 You may choose to ride a tricycle or walk from evercrest to the foot of the town. remains as one of my favorite mountains. galing ng tandem niyo nina Ivan and Agnes. @ivan - ako din enjoy. kahit kelan ko talaga akyatin ang batulao happiness. hehe. pero shempre sayang padin ung arayat. OO nga e. last year. pagipunan mo nalang D2k. naka bili kasi kami di pa tau ganu nagaaakyat e. hehe. mga january para makasama ka dun!! hehe angas nun. pag nag seat sale. The call of the mounatins! Wow! Grabe, parang gusto ko kagad akyatin. Sa photos pa lang panalo! 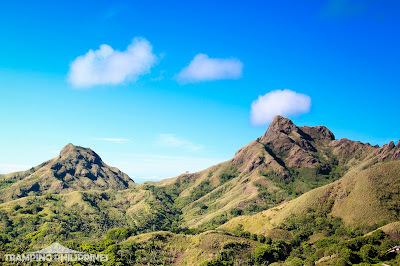 Nakakaenganyo talaga ang view sa batulao. Kahit paulet ulet nga kami dyan di pa din kami nagsasawa e.
maraming supernatural sa Arayat, never ako magccamp dun. nawala ang comment ko, ulitn ko na lang... maraming supernatural jan sa Arayat according to other climbers na nakasama na namin sa ibang climbs... takut ako hindi ako magoovernight jan.
Pag nag arayat din kami hindi overnight. another thing na mahirap is yung water source. hehe. auko din makaexperience ng supernatural encounter. haha.